Pioneers in the industry, we offer pharmaceutical multi mill from India. Our company is known for providing best quality of Pharmaceutical Multi Mill to customers. Our professionals strive hard to serve the unmatchable quality of Pharmaceutical Multi Mill. 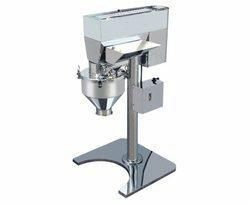 This Pharmaceutical Multi Mill is available in different specifications. Pharmaceutical Multi Mill is mostly used for wet and dry granulation pulverization etc.